As stars of the acclaimed television series, Bondi Rescue, professional lifeguards, Jesse Pollock and Trent ‘Maxi’ Maxwell love the surf, sand and beach. Millions of fans from around the world have seen these two grow up on their TV screens. They will stop at nothing to save a life at the beach. However, there are times when they don’t get a chance to prevent a fatality. Bondi Beach is located 5kms from the notorious suicide spot 'The Gap' in Sydney's east. As a result the Bondi Lifeguards are often called on to help out during body retrievals. Between the two of them Jesse and Maxi have been involved in 12 body retrievals relating to suicide. Being exposed to these harrowing experiences has left them determined to make a difference. They aim to raise awareness about mental health and help prevent more unnecessary deaths in the future. The boys want to help those who are at risk, or who have been affected by suicide. From this the concept of 'The Ride East Coast' was spawned. A marathon jet ski ride aimed at spreading awareness for youth mental health and suicide prevention. They will ride jet skis from Botony Bay in Sydney to Cairns in far north Queensland. 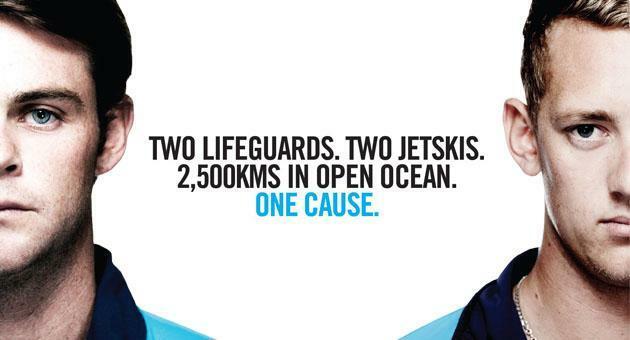 During the groulling 2,500 km journey the guys will be: big wave surfing, spear-fishing, swimming with sharks, camping remotely and visiting outreach centres, which are run by the mental health organization 'Head Space'. The guys intend to cover 150kms per day and will be self sufficient, pulling in at the end of each day to camp remotely along the east coast. My Generator are proud to not only sponsor the film but also provide portable power during the filming of the documentary. The guys will be taking an inverter generator from My Generator to power up their electrical equipment while on location. Suicide is the biggest killer of young people in Australia and the main aim of the project is to send the message that it’s ok to seek help. We wish Jesse and Maxi all the best for ride and will be doing what we can to help raise awareness for mental health and the charity Head Space.